Transformed lives, transformed communities, transformed nations. Ignite Compassion equips people to extend God’s love and hope to their neighbors, especially the vulnerable, by restoring relationships and freeing bondages with God’s truth. We carry God’s heart for the vulnerable (the orphan, widow, foreigner, poor, prisoner, etc.) and desire to raise up a missionary force that is equipped to minister holistically wherever God places them. We aim to disciple people who will in turn disciple the nations. 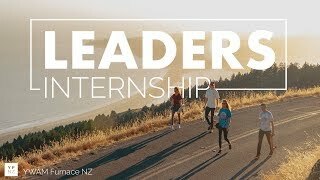 We are preparing and believing for a revival across New Zealand. 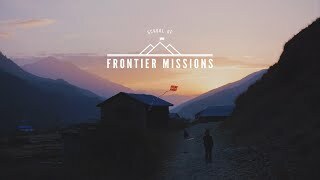 Hand in hand with sharing the simple gospel for personal transformation, we believe God wants to see whole nations discipled to bring transformation for God’s kingdom here on earth that is worked out in individuals’ lives. 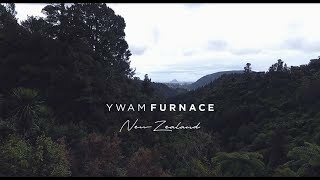 As a base, YWAM Furnace NZ partners with local ministries who are involved in facilitating transformation in Tauranga. Our staff and students have the opportunity to volunteer on a weekly or monthly basis and be a part of what these ministries do for our city. Maisha Africa was started by Praise Namisi, a Ugandan, who has been rescuing street-children and other vulnerable children since she was 15. Together with her husband Moses, who she married in 2014, she is presently caring for 40 orphaned children and running a school, church and community outreach in rural Uganda. Praise ‘adopted’ Isabel Betts from New Zealand as mum in 2012, and vice versa and has requested for Isabel to co-lead the ministry with her (and Moses since January 2016). Isabel, a missionary with YWAM since 1983 and currently on staff with YWAM Furnace NZ, works with indigenous initiatives in Uganda that care for orphaned and vulnerable children and widows. Hope in Villages+ is a project that empowers impoverished women from rural Uganda to care for their own families and children. It is run from a holistic transformational development perspective to raise up families and churches who can sustainably care for their own children and orphans in the community. Child Sponsorships of $25/month are available to make it possible for the children to attend school, while giving support, training and discipleship. 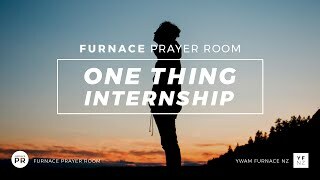 YWAM Furnace NZ is a joint partner in this project alongside of YWAM Uganda and Changepoint Church in Tauranga, NZ.